More than 35 Chabad centers throughout the city and its neighborhoods are participating. Homeowners can approach the nearest outpost, mezuzahs in hand, for free inspection with a certified scribe. 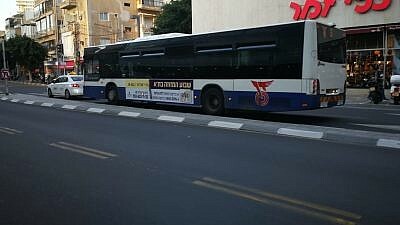 They can also purchase new mezuzahs with a subsidy of 25 percent off the price.As part of the campaign, huge advertisements have been placed on buses in Gush Dan, via social media and in the mail for hundreds of thousands of metro-area residents.